YANGON—The two-night-long night bazaar called “NightFest at Yangon’s Secretariat” including food stalls, wine and other alcoholic beverages, and a music concert slated to be held this month has come under public criticism from those who say the venue disgraces one of Myanmar’s most historically important buildings. The event, touted as Myanmar’s first “Grand Bazaar”, is being organized by the Signature Night Market Event Planning Company, the United States Department of Agriculture Myanmar (USDA) and SY Group. It is slated for Feb 11-12 (Myanmar Union Day). Historically, the Secretariat is one of the most important buildings for Myanmar people because the country’s first Independence Day ceremony was held in its courtyard in January 1948, right after the British Union Jack flag was taken down to mark the end of the colonial era. Most importantly, in the west wing of the complex, the country’s national independence hero Gen. Aung San and his cabinet members were gunned down in 1947 by a political rival. 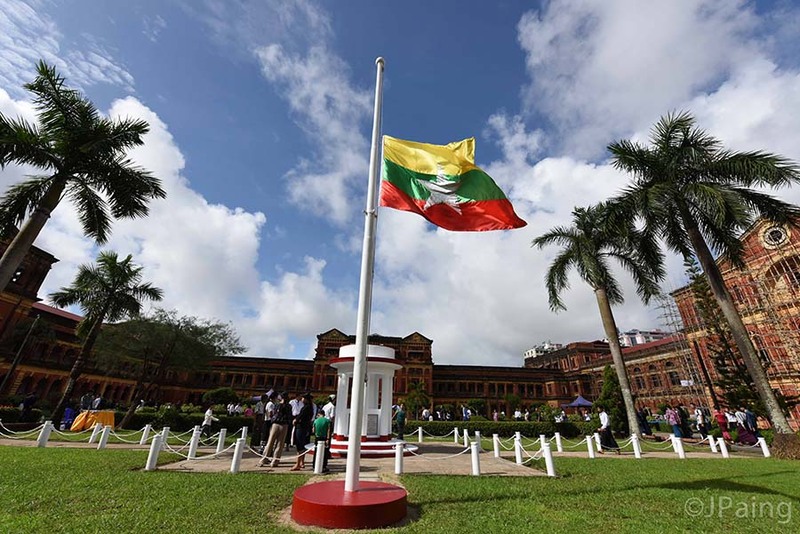 For several years now, the complex has been open to the public on July 19, the national day of mourning for the assassination, to pay respect to the country’s martyrs. Critics said the organizers disrespected the unique history of this important building, which shouldn’t be used for frivolous entertainment purposes given the gravity of the events that took place there. 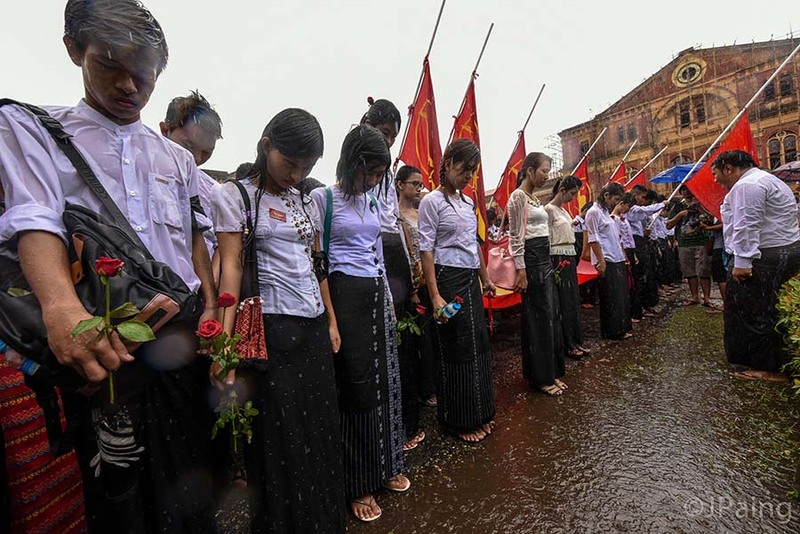 People took to Facebook, Myanmar’s most popular social media, to condemn the event for disrespecting the site of the assassination of the country’s independence hero. “I can’t accept the event at all…the venue where our martyrs were assassinated shouldn’t be the place for fun activities,” commented one user. According to the announcement of the organizers, Novotel Hotel, Parkroyal Hotel and Hard Rock Café will take part and showcase Californian wines, Italian wines and various cheeses. Traditional Myanmar snacks and Khaung Yay (traditional liquor) stalls will be set up too. A rock band from the Hard Rock Café and famous local singers R Zarni and Mary will perform at the event, along with other performances including Myanmar traditional dances and a puppet show. A spokesperson from Signature Night Market, one of the event organizers, told The Irrawaddy that people misunderstand the purpose of this event. “The main purpose of the event is to have an exchange of culture between Myanmar and America, and we want to show the beautiful nighttime scenery of The Secretariat,” she said, requesting that her name not be used. NightFest at Yangon’s Secretariat is not the first event in the complex’s courtyard to attract public ire. In 2015, a former ruling general’s daughter held her birthday party there. The event was severely criticized as highly inappropriate. Currently, the Secretariat is undergoing renovations to turn the complex into an art museum including galleries, arts and crafts workshops, event spaces, souvenir shops and a cultural show. The Anawmar Art Group was selected as a winner of the Secretariat renovation tender by the government in 2012. The Yangon Heritage Trust is working with Anawmar to conduct a technical study of potential renovation methods and building-use options. The trust is also against the plan for the night bazaar at the Secretariat. “YHT feels the same as other people because this building is historic and it is inappropriate to hold this kind of fun event,” said Daw Moe Moe Lwin, director and vice chairman of the Yangon Heritage Trust.